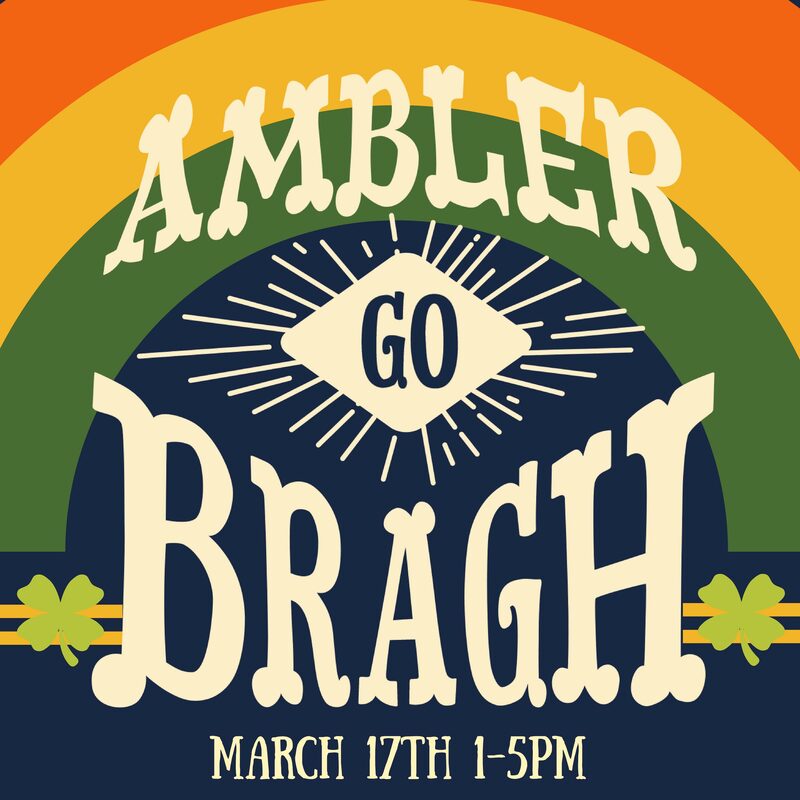 Celebrate Saint Patrick's Day in Ambler with Ambler Go Bragh, presented by Valley Financial Group and AroundAmbler.com. Participants in Ambler Go Bragh have the opportunity to explore Ambler's top bars/restaurants. Specials will include $3.00 Irish beers, $3 selected craft beers and $3 traditional Irish cocktails. Your first beer is free, and you get a t-shirt and souvenir cup. All just for $20.00. When you and your friends buy tickets, you will select which bar/restaurant you want as your starting location. After the first hour participants can move between all participating bars and restaurants as they wish and in no set order. There will be a beer list published online that will include certain beers that will be tapped and offered at specific times throughout the day. Stay tuned for more announcements on locations and specials. All participants (who sign-up in time) will receive a souvenir cup, t-shirt and their first beer free. The cups will be at least 14 oz and pours will be 12 oz. All of the featured beers will be $3.00 after your initial free one. Tickets are $20.00 per person (includes a souvenir cup, t-shirt, and first beer). There will be a cut-off to receive a shirt (it will be announced closer to the event).